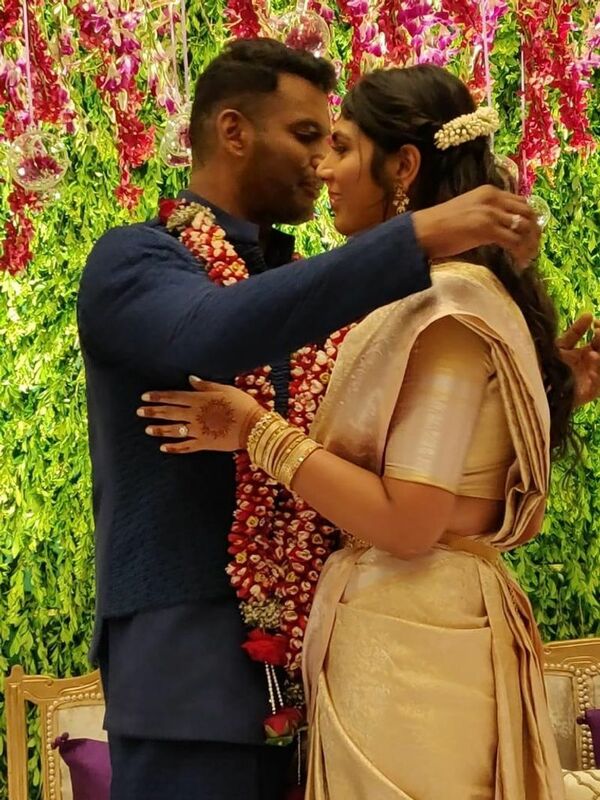 Vishal and Arjun Reddy actress Anisha Alla Reddy made their relationship official early this year. 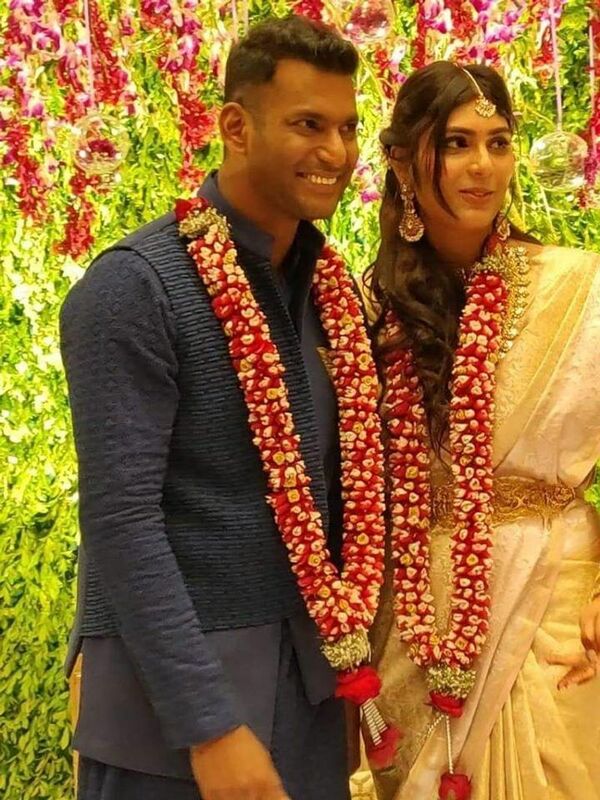 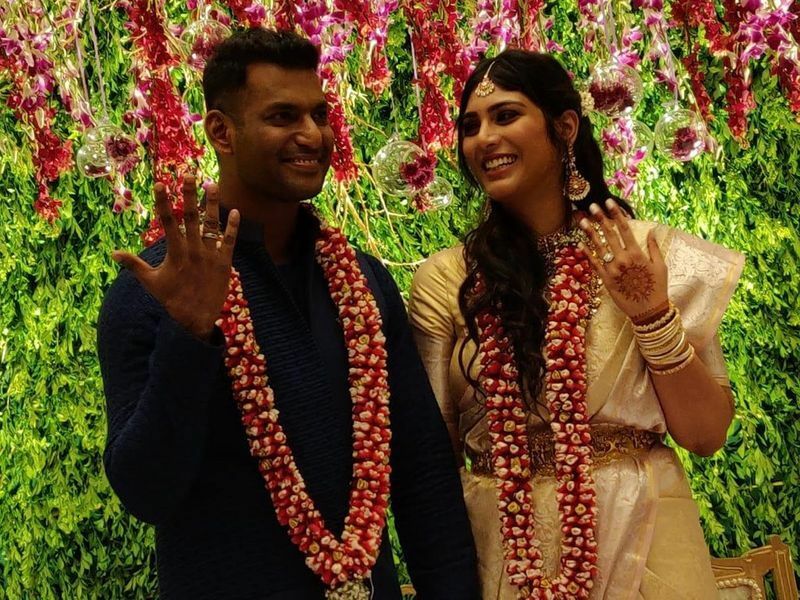 The couple got engaged in a lavish ceremony amid close friends and family at a plush hotel in Hyderabad on March 16. 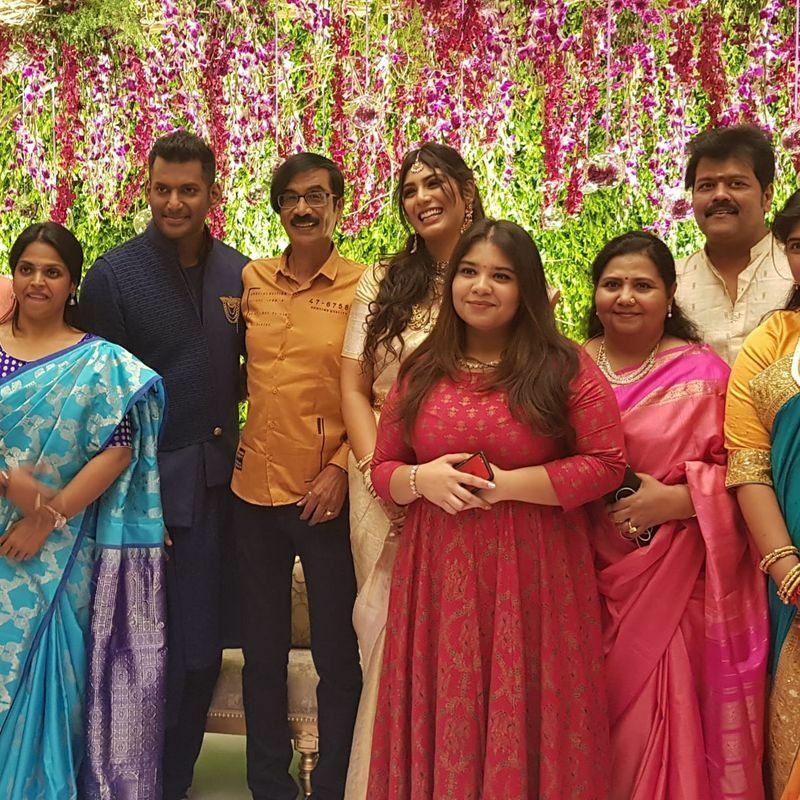 Vishal and Anisha Alla's engagement ceremony was attended by close family and friends, including actor Manobala. 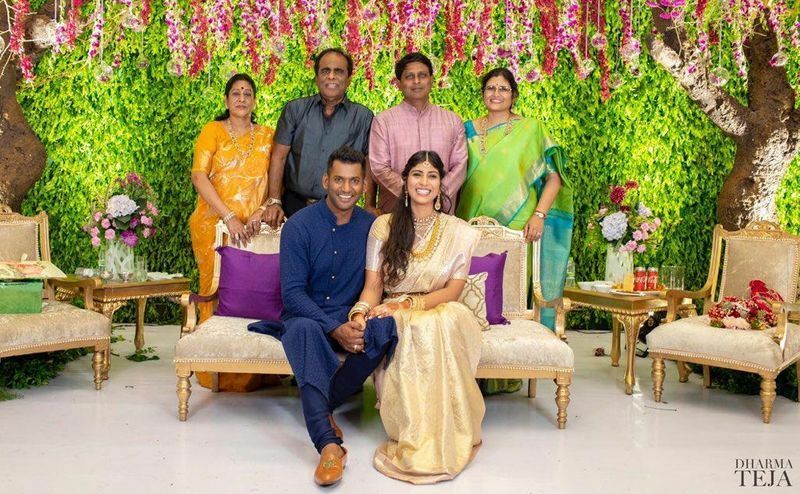 While Anisha looked gorgeous in a simple gold coloured saree, Vishal complimented her look by wearing a navy blue sherwani. 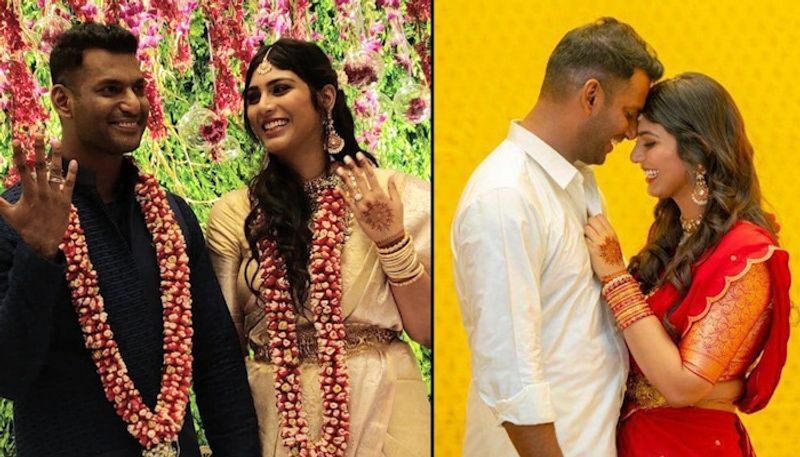 Reports are rife that the couple will tie the knot sometime in August or September. 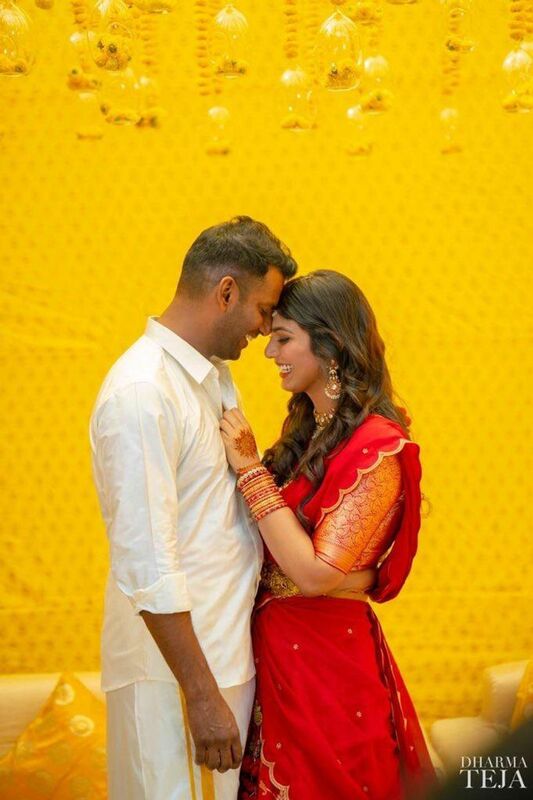 However, Vishal and Anisha's families are yet to announce the wedding date officially. 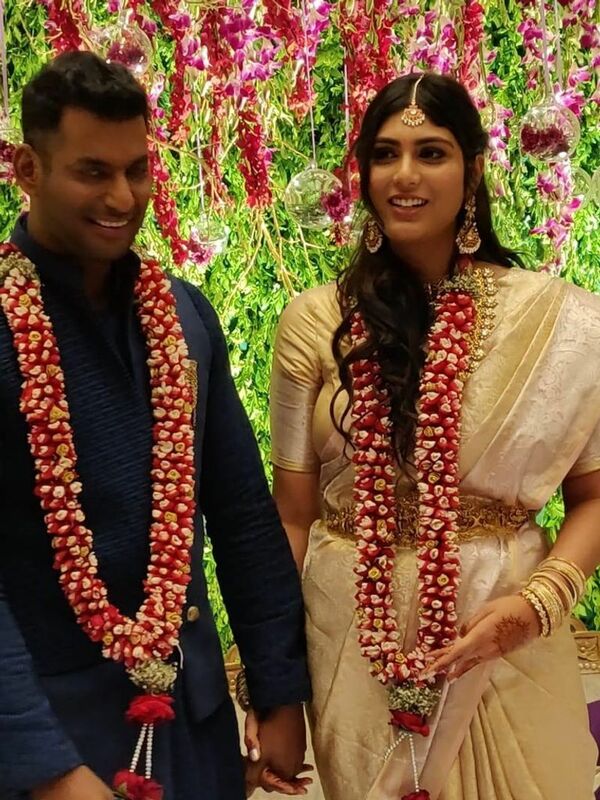 Vishal, who was last seen in Sandakozhi 2, is currently serving as the President of the Tamil Nadu Film Producers Council and the Secretary General of South Indian Artistes’ Association.